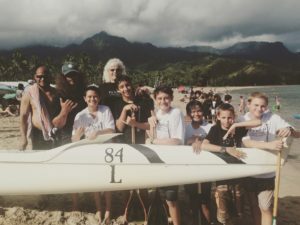 New paddlers will need a copy of their birth certificate, all paddlers will need the 2018 waiver, a state of Hawaii Parks waiver, and a recent digital headshot photo. Click here to sign up and get all the documents you need! 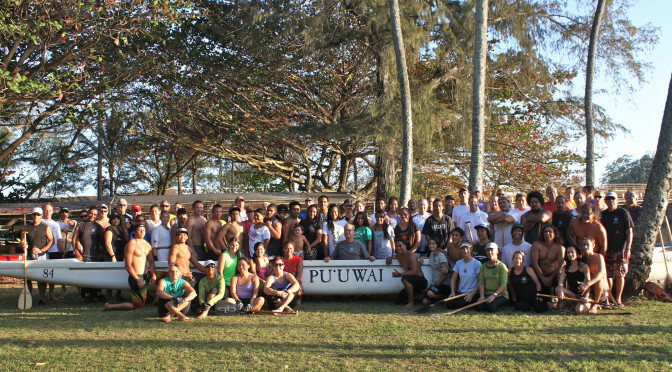 Pu’uwai Canoe Club Spring and Summer Youth Program begins Monday March 20th. We accept youth between the ages of 9 and 18 and usually hold practice twice a week. We will need a copy of the child’s birth certificate and the signed waiver. The club dues will be $65 and that will include a club shirt plus regatta race fees for the year. Please view the list of Regatta races and club events and plan on being on the beach at the regatta location by 7 AM. The Kapa’a High School Warriors manage their own programs utilizing our canoes, facilities, etc. for training and races. For our ROTC program contact your High School. These young paddlers represent our future, and deserve all that we can give them. Every moment in these programs is time well spent for all.